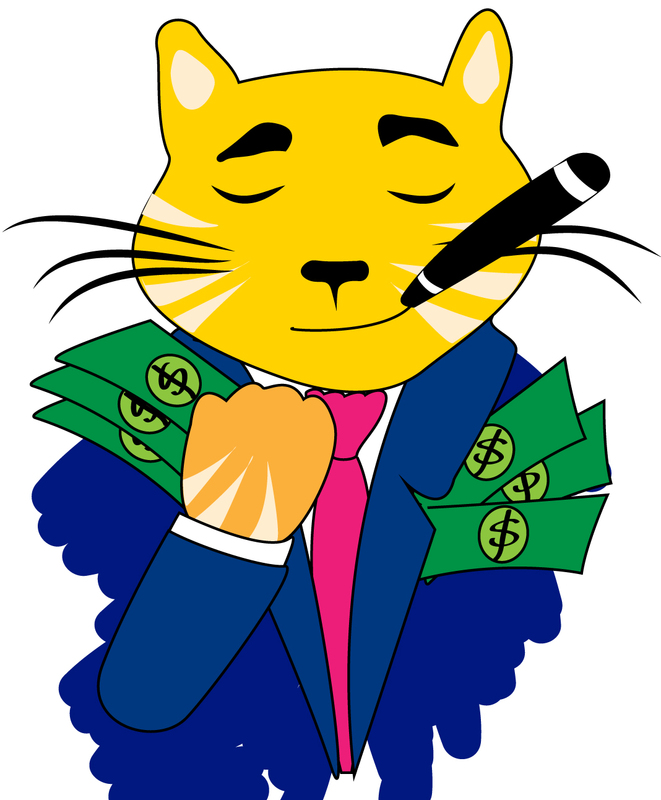 So you're probably all familiar with the phrase "fat cat" -- a phrase used to describe, as Etymology Online put it, "a privileged and rich person". But where did the saying originate, and how did a cat get dragged into the mess anyway? The phrase is almost 100 years old, dating back to the 1920's, and its original meaning was purely political in origin, describing someone with deep pockets willing to financially back a political candidate. "These capitalists have what the organisation needs - money to finance the campaign. These men are needed in political circles as 'Fat Cats'." So the original use didn't come with the current, somewhat derogatory overtones. Interesting, no? As to why a cat was tied to such a concept when everyone knows felines are strictly apolitical (except when their vote is being 'bought' by salmon, of course)...? 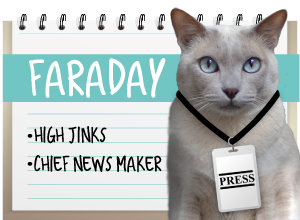 According to Wiki Answers and Etymology Online, it's simply because 'cat' rhymes with 'fat' - a very typical Roaring 20's kind of slang. Nothing more. But according to WiseGeek, it's an animal allegory. The cat is seen as a predatory animal, one that controls the behavior of others lower in the food chain. Taken this way, you can see where its meaning can be a bit negative. It sounds to us like the meaning of "fat cat" evolved over time. Nominations are now open, through 3:00 PM EST Friday, March 8th. 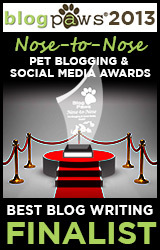 According to BlogPaws, "The “Nose-to-Nose” Awards is the only awards program in which pet bloggers and microbloggers are judged on their expertise, creativity, and performance by a panel of distinguished professionals." But you are the ones who nominate. 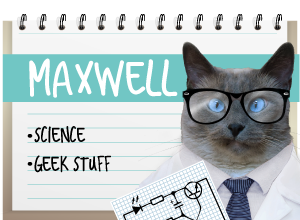 There are many wonderful pet bloggers out there who deserve recognition. We're nominating the blogs we love to read, and we hope you join us in doing the same! It's one way we can thank them for providing quality content we enjoy reading, day in and day out. we are definitely doing the same! ...I'm nomination lots of great blogging friends! So many out there that make us smile. Don't worry... I will NOT be delegating this task to W2. I like the idea of Dog Hog too! It is ironic that the Fat Cats are not at all fat. They're the only ones iwth time to go to the gym and money to eat healthy. Everything is upside down. 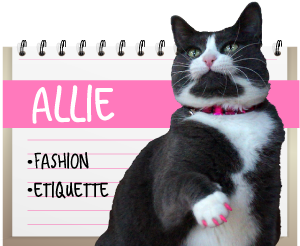 We think the purrsons who came up with Fat Cat peeped in our windows! We also gave you an award, if you'd like to stop by & pick it up. Very Interesting! Mes loves these entomology posts! Fat cats are the BEST cats! Il ne faut pas réveiller le chat qui dort = Do not wake the sleeping cat. Wonder if I painted the sign in french, huMum would stop distrubing my slumbers to come an paw type comments on these wonderful bloggies!